For most of us, ‘going to the ballet’ means getting dressed up and treating ourselves to a night of breathtaking artistry from world class dancers and choreographers. For an increasing number of people with Parkinson’s (PwPs), however, it also involves attending a weekly class where they are trained in classical techniques, and may rub shoulders with a prima ballerina during the session. 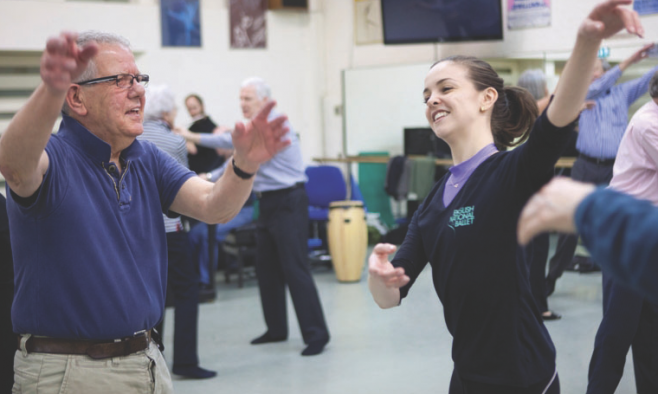 This is no standard ‘dance therapy’ class, but English National Ballet’s (ENB) Dance for Parkinson’s programme, which has blazed a trail with its proven social, psychological and physical benefits. 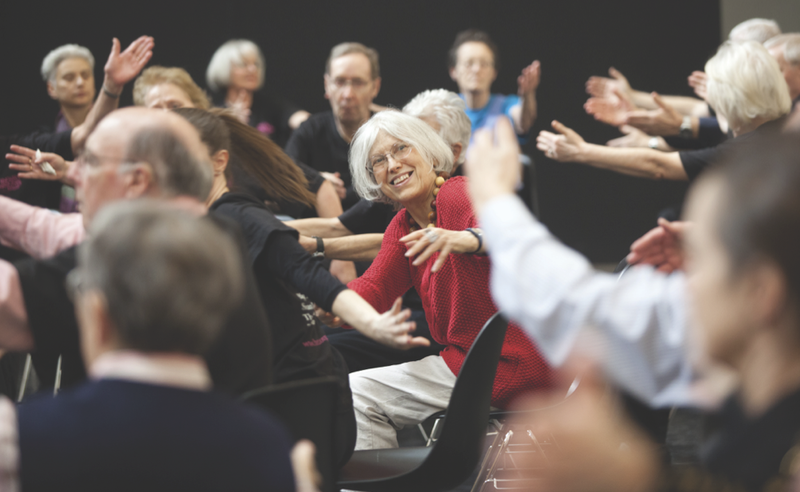 The seeds of the initiative were sown in 2008 when ENB’s director of learning, Fleur Derbyshire-Fox, hosted a seminar and introduced US-based Mark Morris Dance Group and Brooklyn Parkinson Group’s Dance for PD programme, which was presented by Dance Umbrella. Dance for PD was established in 2001 by Brooklyn-based dancer Olie Westheimer. 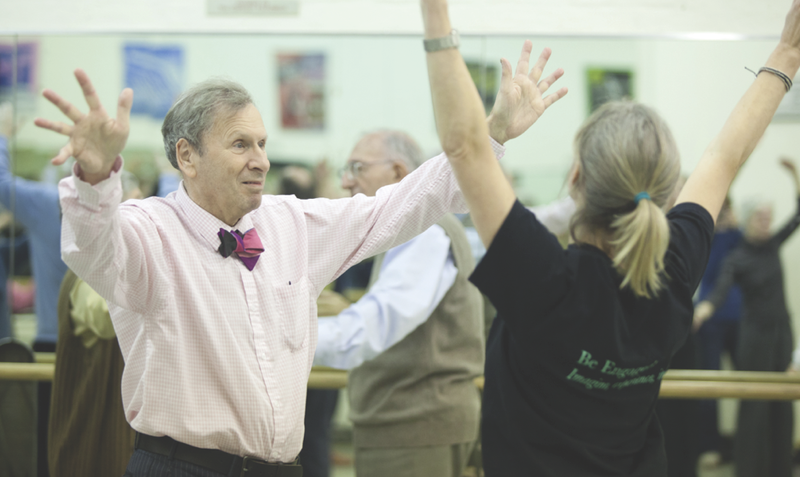 Originally intended as a support group for her husband (Dr Ivan Bodis-Wollner, director of the Clinical Center of Excellence for Parkinson’s Disease at New York’s King’s County Hospital), the dance programme has been replicated in more than 50 communities around the world. Building on the goodwill developed during a long relationship with Westminster City Council in London, Derbyshire-Fox succeeded in accessing funding for a 12-week pilot project. She also approached Dr Sara Houston and Ashley McGill from Roehampton University to conduct a thorough research study of the pilot, which involved examining physical data (using measurements including the Fullerton Advanced Balance scale and postural analysis) complemented by individual and group interviews and diary entries. The “statistically significant” findings revealed short-term physical improvements, along with anecdotal evidence that ballet classes had helped give participants the confidence to access skills they didn’t know they had. The pilot course consisted of two six-week sessions, with Christmas – and a visit to the London Coliseum to see Romeo and Juliet – in between. At the end of the 12 weeks, the participants were thrilled – as was Westminster Council. 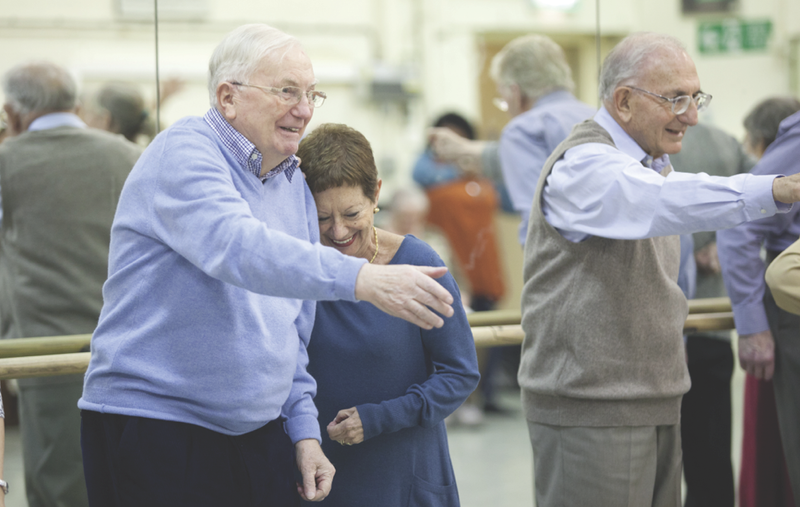 So what does a Dance for Parkinson’s class involve? What it is not, the organisers are at pains to point out, is a dance therapy class. ENB’s repertoire is at the core of the programme and participants will go to see a performance of a particular piece, which then provides the theme for the rest of the term. Classes are peppered with technical terms, and participants will discuss pliés, arabesques, port de bras and glissés, as they would in any ballet class. But, as a result of the training, the teachers have an insight into the specific needs of their audience. Danielle Jones, learning and participation officer at ENB, says: “With every one of our exercises, we have in mind an understanding of the benefits. For people who are struggling with freezing, vertigo and falling, we do a lot of work on grounding weight and pulling the centre of gravity into a stable standing position. We also show people how to find their own alignment to give them confidence to work independently.” She explains how using characters from the repertoire can help demonstrate the quality of a movement – people with dyskinesia, for example, respond well to being asked to move as a particular person in a story. “Focusing on character helps them to overcome physical barriers,” she says. The quantitative results of the pilot study showed that the group as a whole made significant improvements to their balance. The qualitative results included an increase in confidence and body awareness, which, in turn, had a positive effect on general mobility in daily life. Nick Ephgrave from Parkinson’s UK, for example, details the improvements in non-motor symptoms for PwPs (see ‘Beyond physical benefit’ below). Although ENB is based in London, Derbyshire-Fox and her team have managed to achieve funding support from the Paul Hamlyn Foundation to roll out the programme to out-of-town partner hubs. Derbyshire-Fox’s team has also succeeded in securing funding to extend the research with Roehampton University and inspired a number of volunteers from Oxford Brookes University to help with the project. The success of ENB’s Dance for Parkinson’s initiative seems to be down to a combination of enthusiasm, skill and sheer hard work. Although inspired by the Mark Morris Dance Group’s Dance for PD, theirs is an independent and unique programme with the ballet repertoire at its core. Its team of dancers and support workers not only help PwPs manage the physical symptoms of their condition but also bring the spirit of the ballet’s story to life through performance. Being a ballet dancer is a dream for many youngsters, one that is usually left behind when the world of work and ‘real life’ gets in the way. Through this programme, ENB is enabling PwPs to live the dream, connect with other people and achieve something that would be the envy of many. This article originally appeared in EPDA Plus.